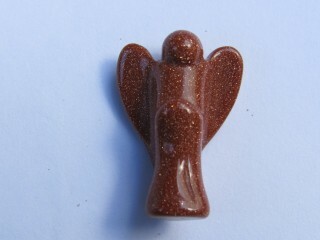 All of our Angels our designed to give us a helping hand in life. It could be you have trouble parking - get a Parking Angel. Perhaps you want to focus on the good things in life - any Angel will guide you on the right path in life and will always reassure you that whatever you do, it is for the best. Angels are a distinctive part of every culture and represent mankinds human consciousness of doing what is right in our lives. The spiritual element plays a big part of the Angelic Realm where perhaps things that go wrong down here on Earth can perhaps be avoided or rectified with a little help from our Angelic Superbeings. 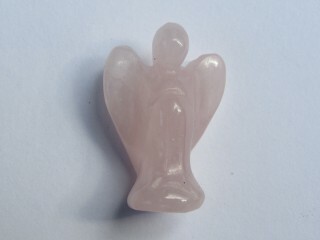 Medium Rose Quartz Angel 45 mm high. Rose Quartz - Love. Compassion. Forgiveness. 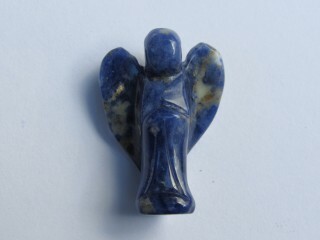 Eases emotional..
Sapphire Blue Hanging Crystal Angel. Attach a length of nylon to the cord and you can dangle it f..